Uzo Aduba was a veteran Broadway actress with very few film credits to her name before she auditioned for Orange Is The New Black. According to an interview the actress did last year with The Huffington Post, she originally tried out for a different part before being offered the role of breakout character Suzanne “Crazy Eyes” Warren. In that interview, Aduba is reticent to reveal which role she originally went after, but a new video “leaked” by Funny Or Die reveals her desired part: all of them. 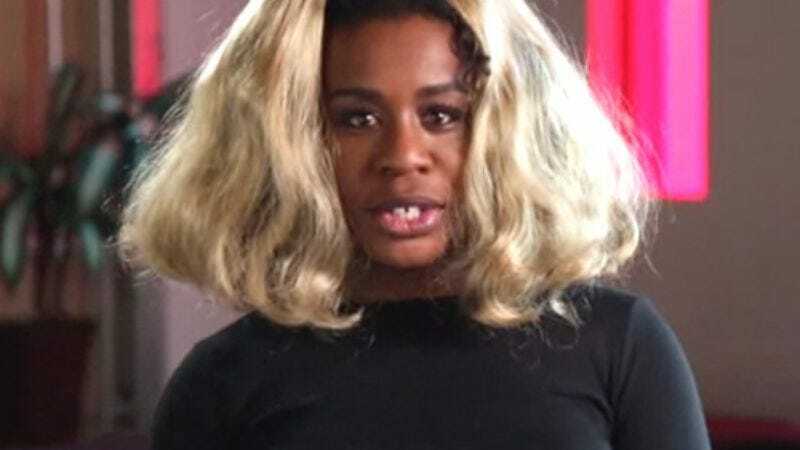 Aduba as Taystee! Aduba as Poussey! Aduba as Piper, Red, and Alex! It’s a tour de force performance in which the actress displays both an extraordinary dramatic range, as well as a consummate grasp of the nuances that turn OITNB’s characters into living, breathing people. Or, you know, a lot of shouting and some silly wigs. Either way: fun!